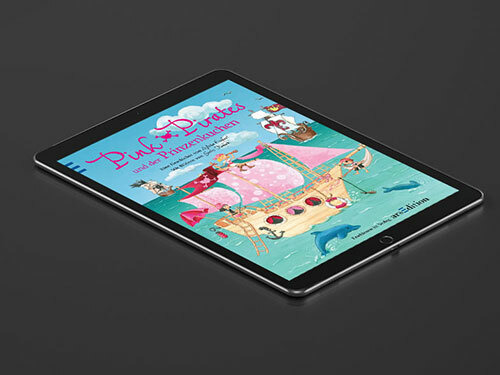 WITS Interactive created an ePub for Ars Edition the publishers of 'Pink Pirates'. We created 2 ePubs under Pink Pirates namely, 'Pink Pirates und die verliebte Meerjungfrau' & 'Pink Pirates und der Prinzenkuchen'. This series is one of the most famous books in Germany! 2 books from the series of Pink Pirates were converted into ePubs to make the reading experience engaging. For the iPad, features such as read aloud and sentence highlighting were incorporated. Both the books were made easy to understand. Pink Pirates were one of the best books published and the ePub created were completely enticing and fun! Just as the book created a large fan base, so did the ePubs impact evenly!